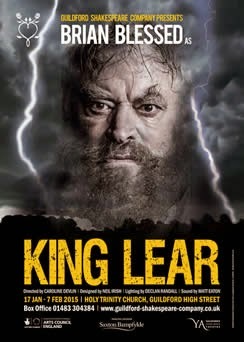 In something of a coup, Guildford Shakespeare Company’s leading man for their production of King Lear is none other than Brian Blessed. And with his daughter Rosalind playing Goneril too. The play’s opening this week was a little overshadowed by the actor’s collapse during the final preview performance, but with the redoubtable resilience we have come to expect from this totemic figure (and perhaps unfairly so, he is 78 after all), he continued with the show after a 20 minute break. So three days later, it was with a little trepidation that we took our seats in the Holy Trinity Church in Guildford (cushion recommended!). 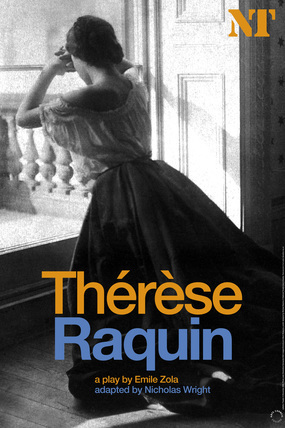 Thérèse Raquin was originally a novel by Emile Zola but he adapted it into a play himself, though the version that is being put on here by Marianne Elliott at the National Theatre is one by Nicholas Wright, who worked absolute wonders translating Philip Pullman’s epic His Dark Materials trilogy into one of the best theatrical experiences of my life. The story follows the doomed antics of a couple embroiled in an adulterous affair and the devastating consequences of not being able to live with what they’ve done.